Some of the ministry we do should be kept a secret; it’s good for our soul! I didn’t always do this when I was pastoring. A call by a hospital chaplain awakened me from sleep in the middle of the night with the request that I come to see a parishioner of mine who was doing poorly. I dutifully got out of bed and made the visit to the hospitalized parishioner. The next day I would find myself working my nocturnal pastoral call into conversation with other parishioners. Then there were the times I felt I was going the extra mile to reach out to help someone, and, again, I would find a way to share the journey of the extra mile with others. It’s a temptation to be our own pastoral public relationships department. During my ministry I now realize that I should have allowed myself to be reminded more often of these words of Jesus: “Beware of practicing your righteousness before other people in order to be seen by them, for then you will have no reward from your Father who is in heaven.” (Matthew 6:1) So much of what we do as pastors, by necessity, is done before others that we should work at lowering the percentage whenever we can. In reflecting on this subject before putting fingers to keyboard I thought of suggesting that secrecy should be a spiritual discipline (and I believe that in some lists it is), but then I realized that secrecy is an inherent part of several of the spiritual disciplines. For instance, fasting is a spiritual discipline to which Jesus reminded us not to make a public display. Jesus also taught that the same goes for prayer and also in giving to the needy. These teachings by Jesus are also found in the previously referenced passage of Matthew 6, as you probably already knew. 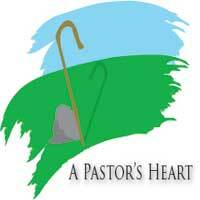 It’s a difficult balancing act we face as pastors. On the one hand we’re to be an example to our flock, and how can we do so without them observing us? On the other hand we’re not to show off our spirituality. Analyzing our motives is certainly one of the best tools to finding the right balance. Is the public knowledge of my action going to bring glory to me for what I’ve done or encouragement to others for what they can do? We teach and preach that what we do should be done primarily because we love the Lord and want to serve and please Him. Sometimes the best way to bring home that message to ourselves as the teacher or preacher is to intentionally do some of our ministry in secret, to minister in stealth mode.